For no good reason, most computers are left powered-on during non-working hours, resulting in a significant waste of energy. Because of the rapid rise in energy prices and an increasing environmental legislation, organisations like yours are seeking new and innovative solutions to a more efficient power consumption. 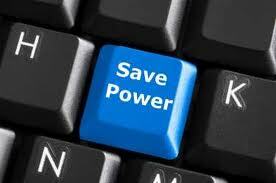 PretonPower™ solves the problem by shutting down computers when they are not in use – at night, during weekends and even during the day – without interrupting your business processes. 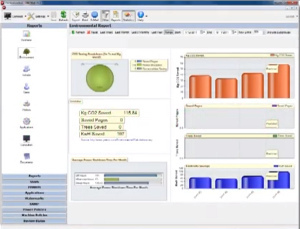 PretonPower’s, advanced computer power management software solution, enables you to manage and control energy consumption in order to reduce both your overall electricity costs and CO2 emissions across your organization’s LANs and WANs. Your return-on-investment will be immediate and substantial as you dramatically reduce your power expenses, however for your employees it will be business as usual. The centralised PretonPower energy management console enables you to establish and manage power policies across the organisation. PretonPower’s individual and group behavior models seamlessly integrate into the system without interrupting work or ICT performance. With PretonPower you can remotely control PCs and choose between hibernate, sleep and shut down modes. • Computers use 60% of their maximum power while in idle mode and typically run at just 15% utilisation. • When a PC is idle, 60% of the system’s power consumption is used by the display screen, while the other 40% is used to keep your hard drive spinning and power the electronics. • More than 90% of the time, PCs are powered on, without actual client need. • PretonPower not only saves on power during evenings and weekends, but also reduces carbon footprints. PretonPower and our ink and toner-saving software, PretonSaver™, are fully integrated for optimum results. With a single administration interface, you can define usage policies for both computers and printers. Using Preton’s combined software applications can extend your savings by up to $110 per employee, per month. PretonPower offers several advanced wake-up features for computers in a low power state, including on demand or scheduled options when the computer stays powered off or in sleep/hibernate mode until a specified wake-up policy is activated. PretonPower also supports on demand functionality for a specific computer and a convenient remote wake-on-web option. Carbon Dioxide (CO2) is known for producing greenhouse gases that cause global warming. Leaving your computer powered on all the time adds approximately 10kg of CO2 to your organization’s carbon footprint – equivalent to driving 60 kilometers in a medium-sized car. An ordinary PC consumes 535 to 550 kWh of electricity a year, out of which Two-Thirds is wasted while your computer is in active mode. With PretonPower you can enforce power management policies and reduce energy costs to lower your carbon footprint and help save the environment. Copyright 2012, Preton Ltd. All rights reserved. Preton, PretonSaver and PretonPower are trademarks of Preton Ltd. All other product or company names may be trademarks or registered trademarks of their respective owners.